We are pleased to bring you the first leak off Phoniks & Awon’s new album, “Knowledge Of Self”, dropping early Fall 2015. The new single, “Summertime Madness” highlights the signature Phoniks sound, gritty jazz production along with relevant, socially conscious bars from Awon. Before delving into the new single I’d like to touch on what Don’t Sleep Records stands for and why it is important to us. In many ways it aligns well with LiveMusicDaily’s curated philosophical approach to delivering music content. “As of right now it’s just three guys who love music making records and having fun. When will we surrender to ideals and wave the white flag, I would say never. We are happy to make people happy and as Notorious B.I.G would say Mo Money Mo Problems. We are cool with being pirates,” says Awon. “Summer Madness” begins with a smooth, signature sound of the past, a Fender Rhodes electric piano. The jazzy elements of this track should come as no surprise to those who are already familiar with Phoniks. 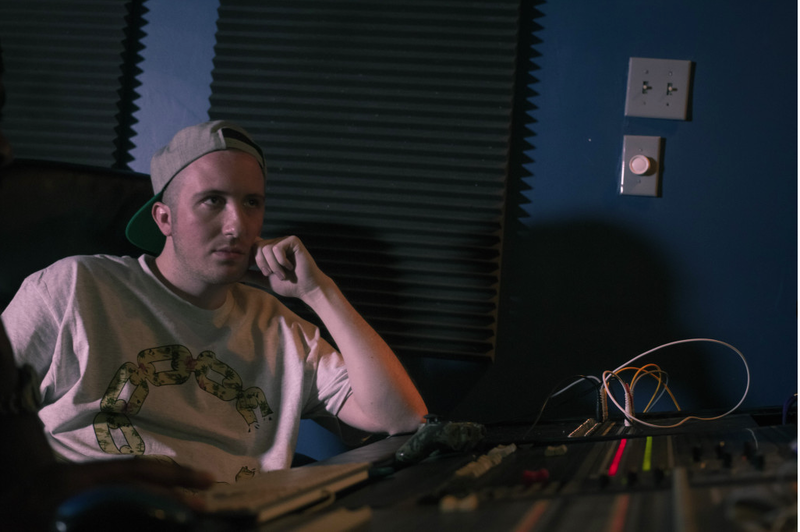 The Portland, Maine based producer is a prodigy and a leader in the underground hip-hop scene.The young producer cites DJ Premier, Pete Rock, and Large Professor as major influences in his technical and philosophical approach to production. Awon, from Newport News, VA, focuses on lyrical messaging that challenges the listener to have some introspective thought on a variety of subjects and self-reflection. “We just drive to put out content with substance. Introspective doesn’t have to be preachy, it just has to have a substance that makes you think,” Awon told me yesterday. We discussed why quality of content can be a lost art in today’s music realm. Don’t Sleep allows Awon & Phoniks the independence to control both their message and their content. “Of course, besides Pete and Preem there’s guys like J-Dilla, Buckwild, Diamond D, but I’m also heavily influenced by great jazz artists… Ahmad Jamal, Yusef Lateef, Oscar Peterson, Cal Tjader… That is where the sound came from before people started sampling it and turning it into hip-hop, so that’s probably my biggest influence,” Ian (aka Phoniks) told LiveMusicDaily in an interview. Summer should be about good times, fun with friends and family, and tons of barbecues. Instead, the summer often resembles death, grief, and incarceration in my community. Summer reveals a high police presence in African American communities leading to police brutality and unnecessary harassment. When it is most needed, though, it seems as though there is no policing at all. In the wake of the most recent gun violence in America, from the terrorism in Charleston, SC to the shootings at block parties in Detroit and Philly, this summer has already been a blood bath. The list of examples can go on with the situation in Chicago and Ferguson last year. We have serious issues with violence in America. It’s not just black on black violence, but blue on black violence and racially geared violence. All I can do is hope law makers get their acts together and make a difference by passing laws that help keep guns off the streets and policing honest. It’s a far cry from reality; it’s a prayer. Most of all, I pray the summers will stop bringing madness. Awon & Phoniks are a hip-hop duo from Newport News, Virginia and Portland, Maine respectively. Established in 2013 over the creation of the underground classic “Return to the Golden Era” LP, they have made a name for themselves over the past 2 years amassing millions of plays and support from various music outlets across the globe. Next PostBonnaroo Music Festival • Review • Alabama Shakes, Robert Plant, My Morning Jacket,Flying Lotus & more!